SeniorsAloud: WHERE ARE THE OLDER GUYS? In case you are wondering - no, I am not lamenting the lack of eligible older guys but the question often crops up at events and activities organized for older Singaporeans. JUST WHERE ARE THE MEN? 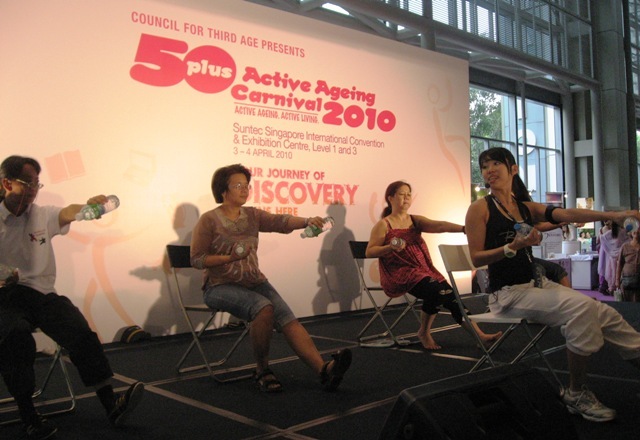 The People's Association (PA), which runs many of these seniors activities including the National Wellness Programme launched last Sunday by former PM Goh Chok Tong, admits that it is difficult to attract 'elderly men' to turn up. 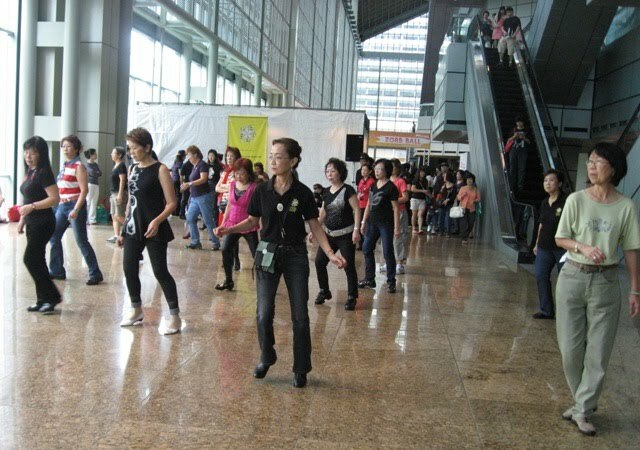 Participants at most of their events for senior citizens are overwhelmingly women. 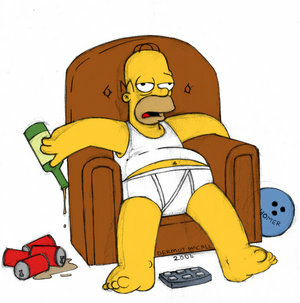 Why do retired men shy away from social activities? Is it because women are better at making friends, while men feel more comfortable in the company of other men? Retired women also tend to be more actively engaged in community projects and volunteerism than their husbands. Which leads me to the question: Do women handle their retirement much better than men? I did a simple survey among my retired lady friends. Their comments are revealing. "My husband stays at home most of the time. He has no interest in joining a senior citizens' club or attending the activities with me. I can't even get him to go for a medical check-up or do a blood test. He's so stubborn." "Jack (not his real name) hates dancing and karaoke. He says they are for old women. I think he just doesn't want to look silly or make a fool of himself in front of others." "Golf is my husband's only passion. I've tried to get him interested in doing some community work, but he says he has no time for that. I know that's just an excuse." "I try to encourage my husband to register for computer or language classes conducted at the community centres. His response is always the same: I'm too old to learn anything." Do men feel a loss of self-worth when they retire? Is that why they have a problem adjusting to their retirement? It would be interesting to hear from the men.